VisualDNA built an interactive Youniverse app for Wikia to promote the release of Kabam’s Contest of Champions game. 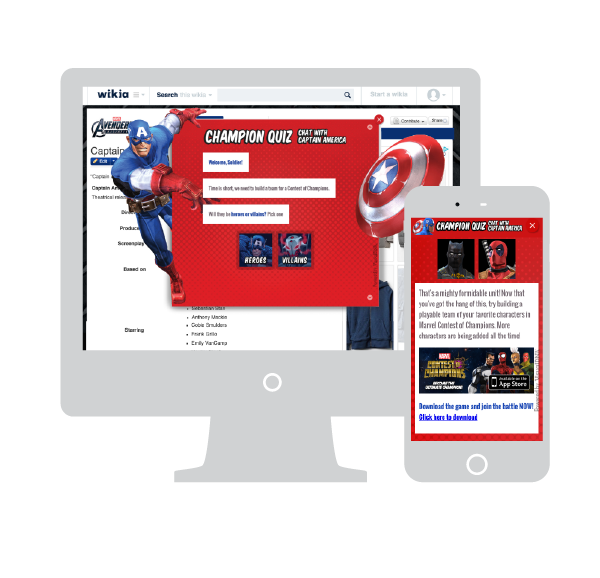 Creating a compelling conversation for Marvel fans and capturing valuable data for segmentation and targeting, our ‘Chat with Captain America’ quiz had impressive results. A 76% completion rate gave Wikia a large pool of profiled users and actionable consumer insight, and the quiz resulted in more than 9000 game downloads. 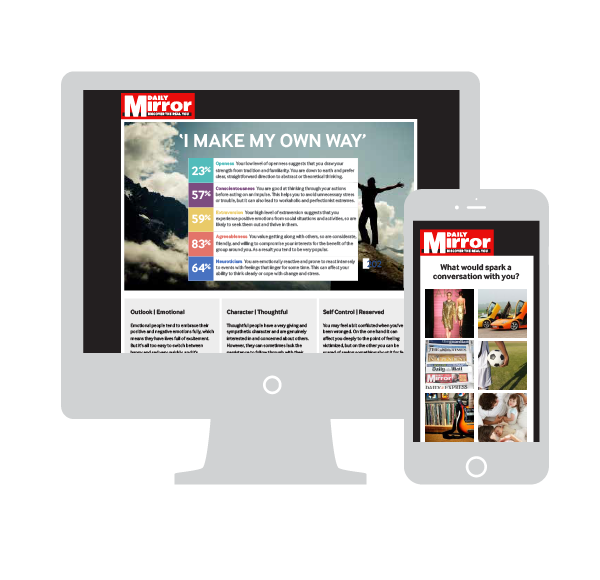 VisualDNA developed a custom interactive quiz for the Daily Mirror to increase user engagement, drive inter-site traffic and create consumer profiles to measure and improve marketing ROI. The insightful personality feedback motivated participation and tailored recommendations directed visitors to relevant content. Simultaneously, VisualDNA assigned audience tags to a quiz-taker based on their responses, in order to accurately segment site visitors.